Burn wrote: Think it might be time to put a muzzle on di Bonaventura given all the different things he's saying. This guy must be the biggest internet Troll ever! The easiest way to understand this,in my opinion,is that the movies are folliwing up the storyline setup in Bumblebee,carring references to the other films,but not whole continuity,like when the idea of the World War II Transformers presence,was not brough up in the Bumblebee film. Because I don't think di Bonaventura really understands what the term "reboot" means. Reboot, I always hate that word because for one, I’m not sure I really understand what it means. Well, if this is to be Bumblebee 2, sequel to the first, and this sequel will follow the continuity of the new reboot, then it could be said that by default, the first Bumblebee movie was the first in this reboot. Or di Bonaventura has no idea what the crap he's saying and I think we should wait for Paramount to have an official press release on the subject before we take him at his word. 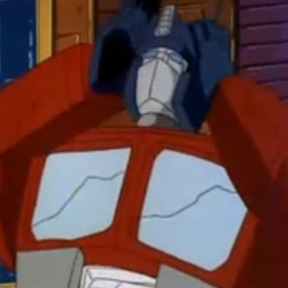 "What was fun about the first one was that we didn’t have to be beholden to the other Transformers movies." The lesson to be learned: Unless it's 100% clear that they are speaking our language, never trust anything anyone from the corporate side of things ever says about "continuity", because 99 times out of 100 the concept of "continuity" means something completely different between the fandom side and the corporate side. I worked out what it is. He's taken inspiration from the movies. The continuity of them can be confusing at times as well. I said this a few days ago about another of his interviews ... Larry ‘D’ strikes again! william-james88 wrote: Yes, you read that title right. And if you are confused, that's fine, it means you have been rather attentive. Very recently, Lorenzo di Bonaventura stated that not only would there be a big Transformers film following the Last Knight (though not necessarily continuing that film's plot), but that subsequent films would bring back some Bayhem. 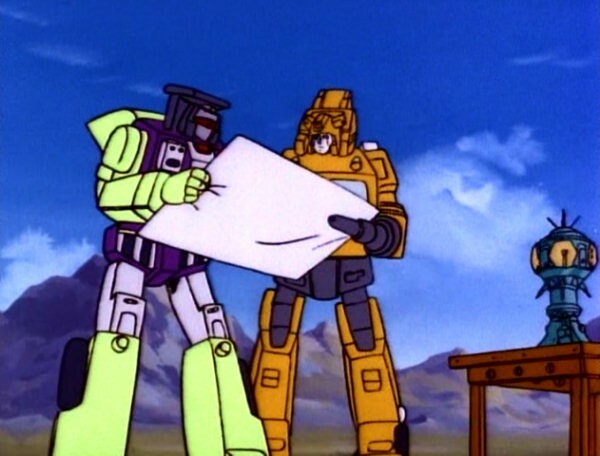 Will, love the picture of Scrapper and Grapple poring over plans. Very apropos. Well... I think that, though it sounds like a leap in the dark, the reboot was the only way to save a plot which was in a dead end. I think Paramount should sue previous writers for the damage they created to this franchise. I talk about damage because many fans don't like AOE and TLK and weren't quite enthusiast of the first three movies neither. I think that the wrong road was taken with AOE; TLK is only a consequence, in the worst way. But there's one thing I'm still surprised of: didn't Thy expect it at Paramount? I mean: I don't think there's one Tf fan which could appreciate TLK (I appreciate it but only if I watch it like a NON tf movie). I ask myself how could They not consider this? It was evident! They've wasted millions of $ in something that was a complete failure at first sight. I don't even know what's going on anymore, I'm not quite sure if they do either but man this is just confusing without any clear word. I guess we will just wait and see, at least we will likely have more films that are made like Bumblebee and not like Bay's films (as in confusing plots and crude humor) even if they stick with the Bay continuity I guess they could find a way to make it work even if it's limiting themselves with what they can do. I am thinking he's afraid to give a straight answer for fear of upsetting people and them wanting his head. It also might be a way to test waters by appeasing those who want one thing more than the other. Either way he's playing both sides before settling on a path with it and I feel that is pretty crappy to do in a lot of ways. I just want Bay out of the live-action films while borrowing the action sequences and music from that time because those were the well constructed elements of the live-action films.